Happy New Year. You’re Deported. The Obama administration targets the renewed flow of Central American refugees with new raids—and Donald Trump takes the credit. This is how the Department of Homeland Security says happy holidays: The federal government will reportedly begin raids to deport families who’ve arrived in the country in the last two years, according to The Washington Post. The enforcement operation could begin in a matter of weeks, and was first reported on Christmas Eve. The raids would target hundreds of adults and children who have a standing order of deportation against them. This is DHS Secretary Jeh Johnson’s response to a child-migrant crisis that has ballooned in recent years, with little sign of abating. Indeed, as I reported previously, in October and November of this year more than 12,000 children traveling with adult family members were apprehended at the US border, a 173 percent bump over the same time period in 2014. Since the start of last year, more than 100,000 unaccompanied children and children who arrived with a family member have crossed into the United States after fleeing a devastating drought and violence in Central America. Some have been granted asylum and many have had their applications denied. The raids would target children who arrived with a family member—referred to as “family units” in technical lingo—“wherever they can be found,” and sent for immediate deportation, The Washington Post reported. The condemnation from Latino and immigrant rights–advocacy groups has been swift. Kica Matos, a spokesperson for the Fair Immigration Reform Movement, said the alleged plan was “horrific and unacceptable.” Steven Choi, executive director of the New York Immigration Coalition, called it “unconscionable.” The response from presidential candidates has been in line with their broader stances on immigration thus far. Bernie Sanders said he was “very disturbed” by the reports and that the United States ought to protect families, “not cast them out.” Martin O’Malley said raids are “completely at odds with our character as a nation.” Hillary Clinton “has real concerns about the reports,” her spokesperson Xochitl Hinojosa said. The larger context is that Secretary Johnson left this option for himself in a few lines of text embedded in a memo he released in November 2014. In it, he refined the tiers of those who are considered priorities for enforcement action from his agency, and explicitly labels those with removal orders who arrived in the country on or after January 1, 2014, as a priority for the agency’s resources. 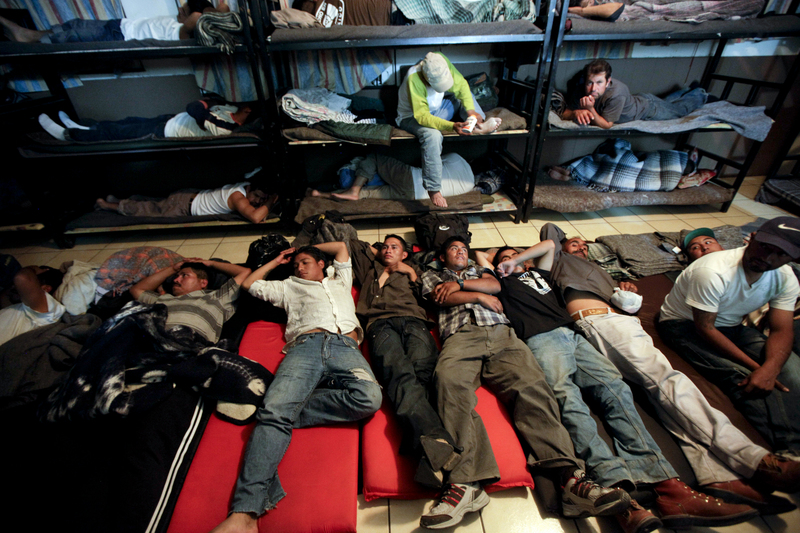 The current Central American child-migrant crisis began last year. The plan is ostensibly designed to send a message to Central American families not to try their luck in the United States. In recent months Johnson has warned that Central American families who weren’t granted asylum would face deportation. Despite a range of approaches Washington has tried, including a PR effort in Central America to discourage families from attempting to enter the country, and increased political pressure on Mexico into stepping up its own immigration enforcement, children keep coming. When faced with the prospect of harsh treatment by US immigration agencies and the all-but-certain devastation of violence in their home countries, people have been choosing to risk the former. In the end, the raids may have a stronger impact on the election and the climate of fear immigrants endure in the United States than they do on migration flows of children fleeing for their lives in Central America.